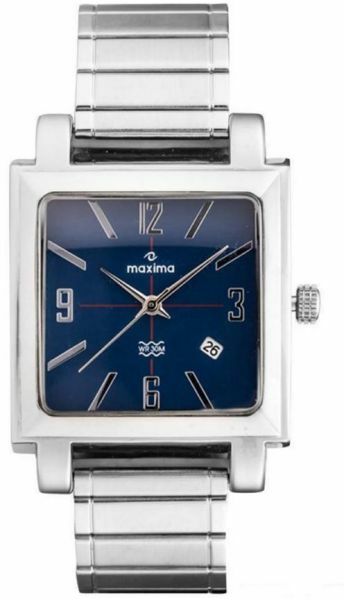 Look suave wearing this classy, silver colored analog watch from the house of Maxima. It features a stainless steel dial and strap for maximum comfort and durability. The rectangular dial gives it a distinctive appeal. Team it with your evening attire to complete the classy look.